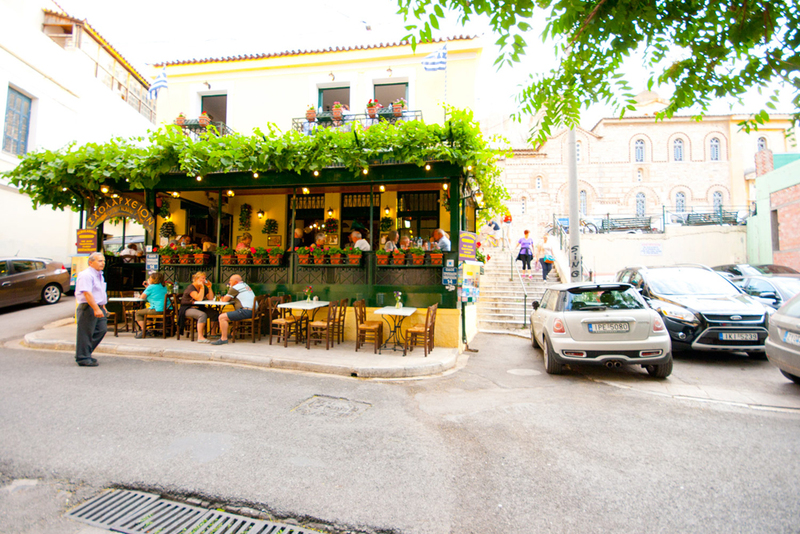 You will find Sholarhio at the foot of the sacred Acropolis at the Anafiotika location, Tripodon Street(the first time ever a name was given to a Street). The Sacred church of St. Nikolaos, (it was built by the Byzantine Emperor Ragavas), is next to Sholarhio. 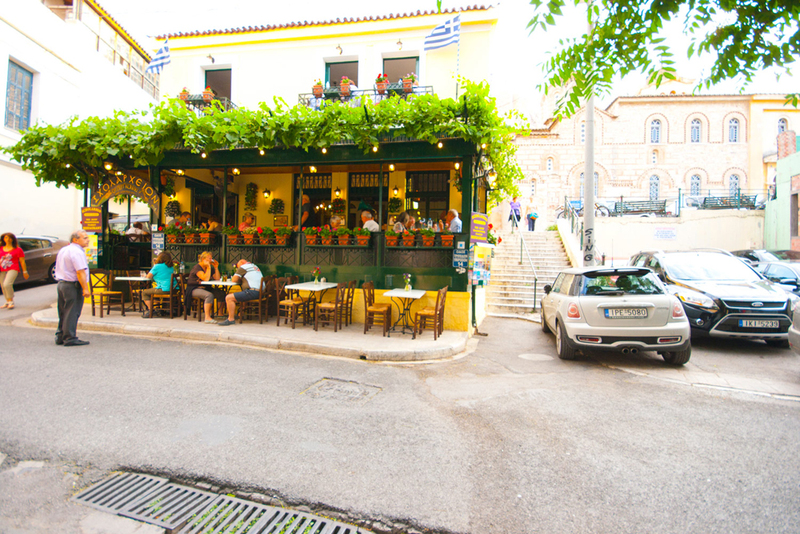 At the heart of Plaka (Ancient city of Athens). Sholarhio a traditional restaurant, functions in a listed building since 1935 as a family restaurant. 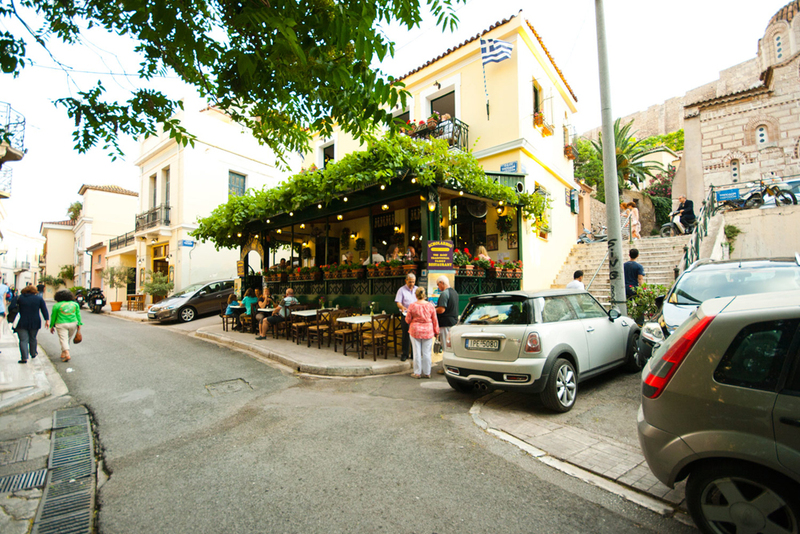 Geranium is the flower present every where around and Kouklis is the name of an old family in Plaka. At Sholarhio you can relax and enjoy your meel and drink in a friendly atmosphere flooded by the energy, radiated by the Sacred Acropolis region over the centuries, along with romance and calmnees. Salads: suchas gigantes with what a sause! And all kinds of salads including seasons salads. 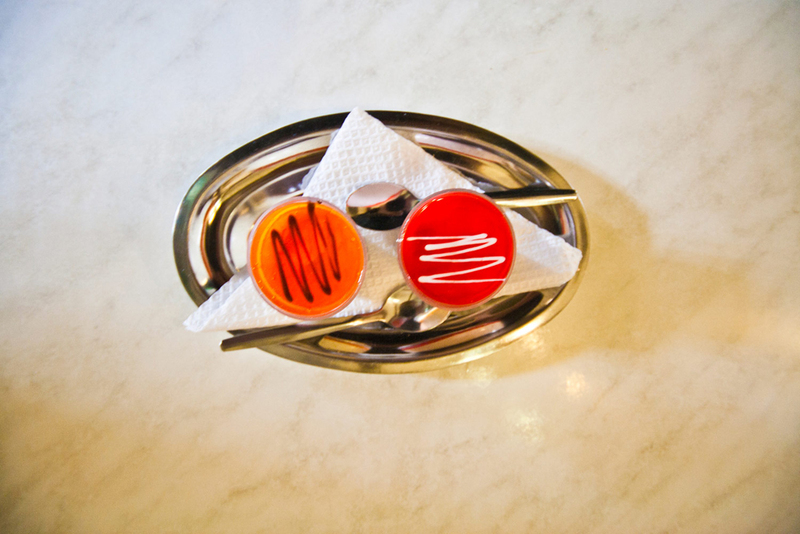 Hors d\'oeuvres (Hot and cold). 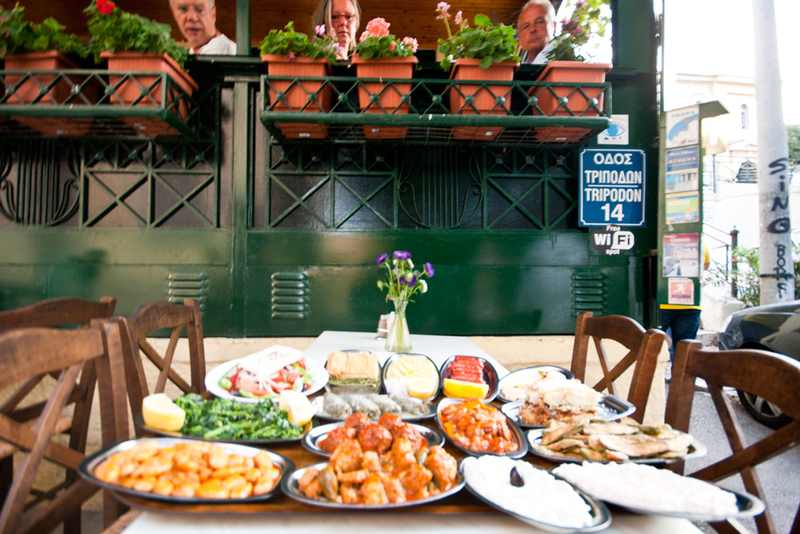 Side dishes such as: Tzatziki Smirneiko for fresh breath, saganaki cheese, middle class caviar (taramosalata). Fried brinjals Tsakonikes, Tirokafteri (hot cheese creame). Meat dishes and sea-food such as: Lahanontolmades special Matoula papadopoula\'s. Bekri meze for the people with discerning taste. Soupies alaniares Sholarhio style - octapus - Calamari - Codfish - Herring etc. The Sholarhio cellar includes: Own production red wine - white winw - oyzo - tsipouro - brandy - cognac - beers. Drinks: cold drinks - coffees - teas - chocolate etc. 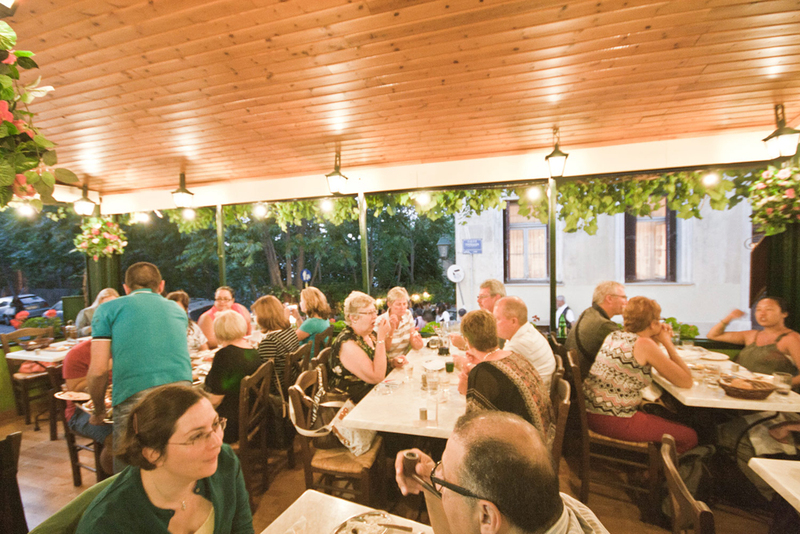 Serving happens as follows: As soon as the customer is sitted, a large tray arrives; it consistes 18 dishes among which, the person, selects whatever appetite desires, pricent between 2,5 - 5 Euro. 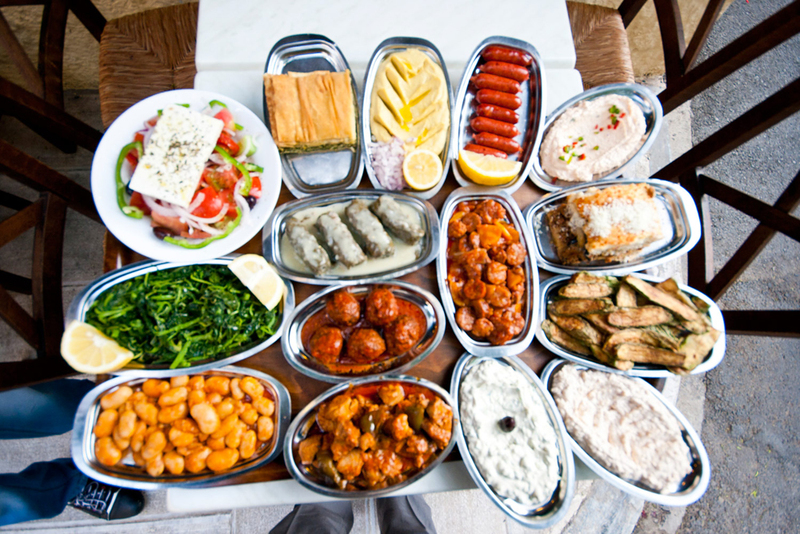 Each group of 4 or more persons, may select from the tray 10 dishes it prefers along with 1 liter of wine or 1 bottle ouzo or 2 beers or 4 soft drinks plus 1 bottled water and as much bread as you neet by paying 10 Euro per person and the desers are by the house. Sholarhio Restaurant is open daily from 11.00 am throughoul 02.00 am. 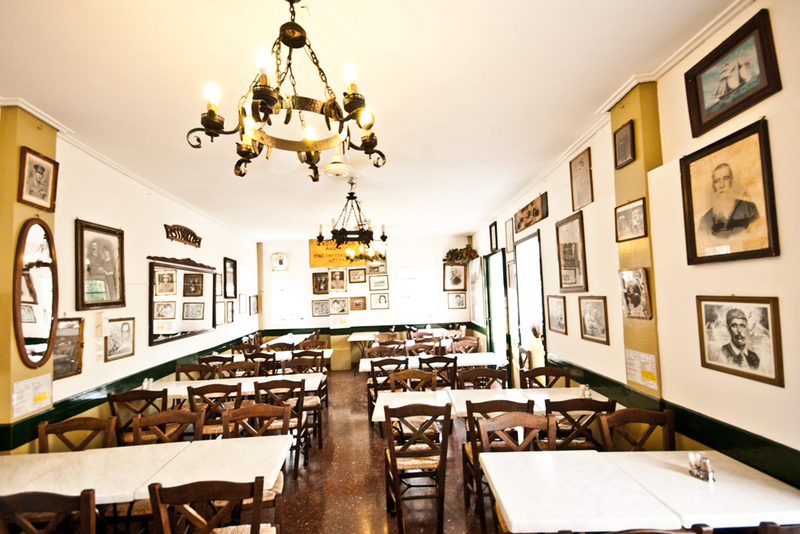 If you are familiar with SCHOLARHIO Tavern - Restaurant, please share your opinion of it with other travelers. Write a review! Coming to this place was quite a treat. For one thing, after walking all that time, one gets really hungry and tired and every minute counts! 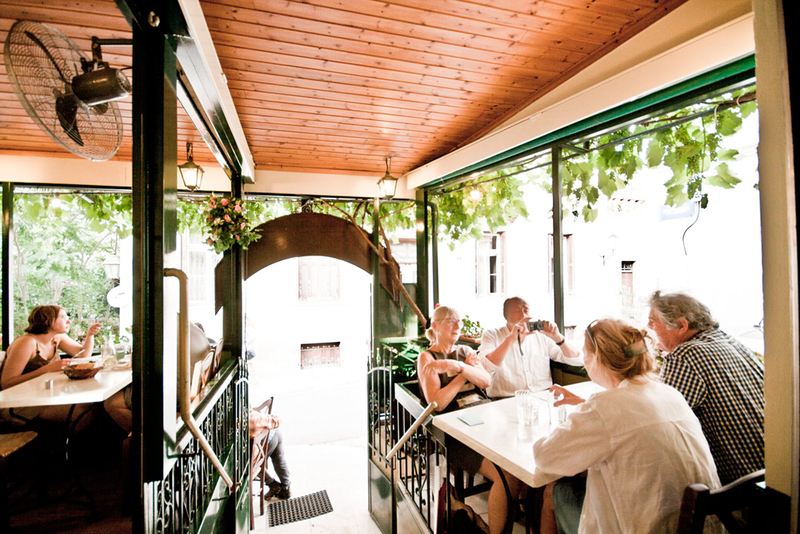 To my delight the whole menu is presented to you on a large tray with tapas like appetizer plates, right from the beginning and you select the items you want immediately,. There&&#3539s a good selection of vegetarian dishes also. 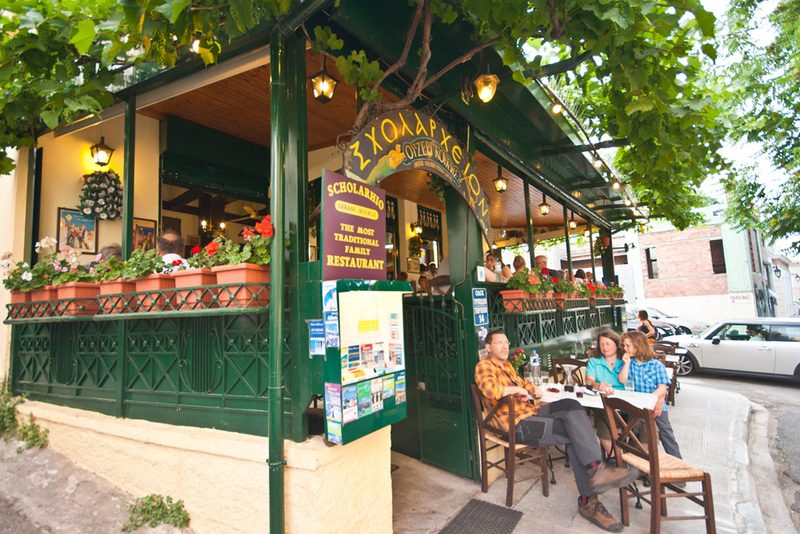 The food is traditional but not souvlaki and gyros kind of stuff. I really recommend people to go in groups of 4 or more mainly to take advantage and share more of the items on the menu. All meals include a free homemade desert called halva which made mainly of flour and syrop- great with and espresso. Great views on the patio and kid-friendly items on the menu too.